Get ready for the trip of a lifetime! 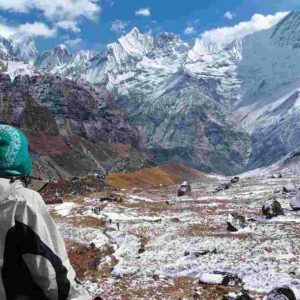 Combine two of the best sought after trekking routes in the Himalayas. Travel at elevations higher than any other place found in the continental United States of America. If you have been looking for a change to test yourself physically, mentally and emotionally look no further. Our Everest Base Camp Trek combined with a summit push of Island Peak will give you a once in a lifetime opportunity to experience the best of both worlds. Trek, stay, and connect with the sherpa people, and build friendships that will last a lifetime. Get ready for the trip of a lifetime. Travel at elevations higher than any other place found in the continental United States of America. Experience the chance to summit to the equivalent elevation of Denali in Alaska (one of the seven summits). 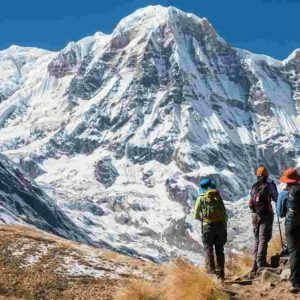 Your Everest Base Camp & Island Peak endurance trek will give you the opportunity to truly feel what it is like to live a high altitude ultralight (HAU) lifestyle. Trek, stay, and connect with the sherpa people, and build friendships that will last a lifetime. Welcome to the HAU Gear team. We look forward to experiencing this trek of a lifetime with you. Day 01: Arrival at Kathmandu 1350 m/4428 ft.
Day 02: Kathmandu valley sightseeing & prep day. Day 03: Heli flight from Kathmandu to Lukla (2610 m) and 3 hrs trek to Phakding (2810 m). Day 04: Trek to Namche Bazaar 3,450 m /11,315 ft- 6 hrs. Day 06: Trek to Debuche 4,040 m /13,255 ft- 4/5 hrs. Day 07: Trek to Dingboche 4,410 m /14,485 ft- 4/5 hrs. Day 10: Trek to Everest Base Camp (17,600 ft) and back to Gorkshep 5,185m /17010 ft- 4/6 hrs. Day 11: Summit Kala Pattar (5,545 m /18,187 ft) – Trek to Dingboche 4,410m /14,485 ft- 4/5 hrs. Day 17: Fly Lukla to Kathmandu 35 minutes. There are more than 5000 peaks in Nepal. 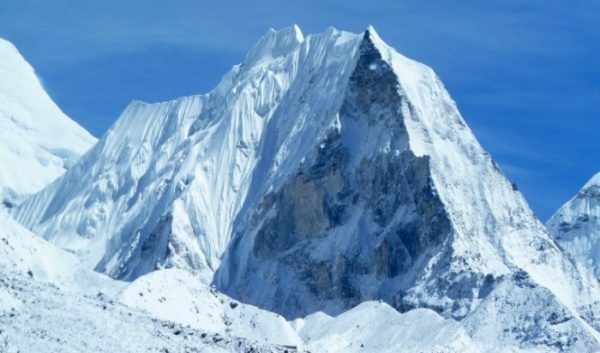 Most are restricted and very few are opened to climb, but Island Peak (6173m) is one of the few glorious, open destinations. It is known as Imja Tse and, from Dingboche, it just looks like an Island. This is a technical trek that will be challenging and rewarding. We will trek through the main corridor of the Chhukung Glacier, and along the famous routes of the Lhotse Shar of Everest, Amadablam, and Lhotse. Trekking this route is favorable in the months of October, November, December, March, April and May. Our professional expert guides will help you have a memorable and safe climbing experience from start to finish. Upon arriving at Tribhuvan International airport in Kathmandu, you’ll be received by our official representative and then transfer to a hotel. That evening we will take you to visit and look around at Thamel, the main tourist hub in Nepal. You will spend the night at the hotel. Today is the day dedicated to exploring the beautiful Kathmandu valley. We will take you into the Kathmandu valley for sightseeing, where you will visit: Pashupatinath Temple, Bauddhanath Stupa and Bhaktapur Durbar-square. You will spend the night at the hotel. We have a scenic flight to Lukla which is about 35 minutes long. We are now in the land of the Sherpa. We will meet our crew who will carry your luggage during your entire trek. The trail continues along the Dudh Koshi River, passing through the Sherpa villages of Chhupulung, Ghat and then reaches at Phakding. The trail offers some majestic and alluring views, mountains, and landscapes where you will see Tibetan words carved in rocks and multi-color Buddhist flags. You will spend the night at the lodge. Today we head off from Phakding, after the scenic trail we will continue along Dudhkoshi River. We are ascending through rhododendron, giant fir, Himalayan pine and cedar forest. We will see the first beautiful mountain of Kusum kangaroo and Thamserku. The trail is blooming. We will cross the high suspension bridges and then, while we are climbing through the dense forest, we can see the first Mt. Everest view. We will arrive in Namche Bazaar, a town surrounded by beautiful mountains. In the afternoon we will go to the market area which will be a lively scene to explore. You will spend the night at the lodge. Today we will ascent into the thin air towards the twin villages: Khumjung and Khunde. We will see the most charming Sherpa villages in Khumbu region. We will reach the Everest View Lodge, built by the Japanese, and you will be able to see the majestic landscape. You can see the Himalayas, including two mountains above eight thousand meters high: Mt. Everest, Lotse, and others. 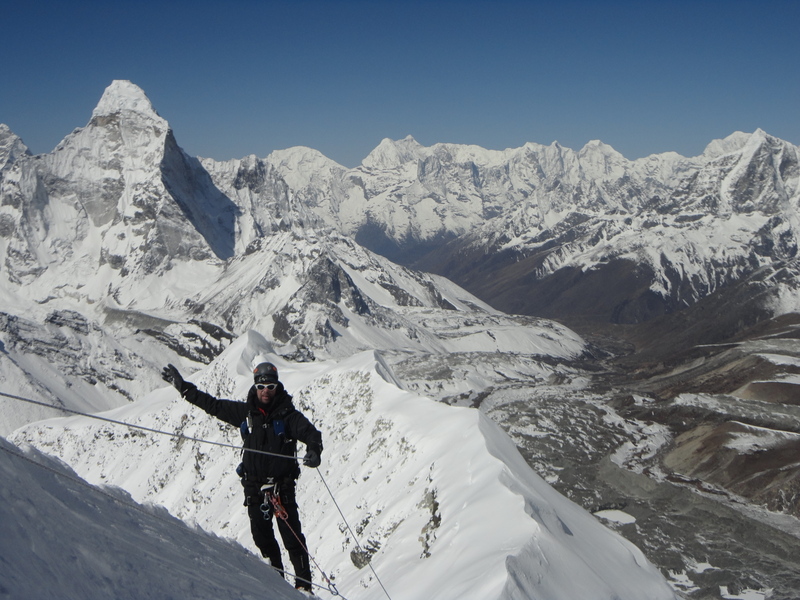 Taubuche, Cholatse, Thamserkuk, Kwangde, Khandeka and the gorgeous Ama Dablam. Then we will continue to descend to Khumjung and will get good chance to visit the Hillary school in Khumjung, a 500 years old a monastery where “Yeti skull” has put since 1995. While we are descending to Namche, after visiting these places here, we see the big yak farm on the way down to Namche, In Namche we will visit the Sherpa Museum and see traditional customs of the Sherpa. You will spend the night at the lodge. As we continue our trek, the trail will lead towards Namche with a view of the snow-capped mountains. Then we will drop down to cross the Dudkoshi river and we will cross the river over suspension bridges. We will start to walk through the rhododendron forest to the Tengboche Monastery. This is one of the spiritual vital carrying Buddhist monastery in Khumbu region. In the evening/morning, you may watch the fantastic sunset/sunrise over the panoramic mountain. You will spend the night at the lodge. In the morning we will pray in the Monastery before having breakfast. Then we will head off, descending through the jungles. We may even spot musk deer, mountain goats, and monkeys on the way. We will then cross the Imja Khola and follow the valley to reach Pangboche. The trail goes through a Yak pasture known as Somare. After leaving trees behind us, we will cross a wooden bridge at the confluence of Khumbu khola and Imja Khola. The trail continues up a short climb which will bring us to Dingboch. This might be the most interesting trek day because of the view of the incredible Ama Dablem and Mt. Everest. You will spend the night at the lodge. Today our trek will be a great and pleasant short walk/little hike around the village. Then we will spend the day either relaxing or trekking up a steep 200 meter hike to get the great views of Mt. Makalu (the world’s 5th highest mountain), Ama Dablem, Thamserku, Kangtega, Imja peak, Lobuche East, Lobuche West, Taboche, Baruntse, Cholatse, and Khumbu valley. After enjoying great views of the majestic Himalayas and descending back down to Dingboche, you will spend the night at the lodge. The trail climbs slightly up out of Dingboche village. We will pass a chorten at the top and then take a gradual path up, passing the yak pasture, to cross the Khumbu khola. We will reach Thugla at the end of the terminal moraine of the Khumbu glacier. Now the trail leads to a steep climb up to the ridge at the top of Chukpo Lari where we have heart poignant lines of memorials in tribute to the climbers who have died on Mt. Everest expeditions. We will take a short gradual walk up to Lobuche where we will have a glimpse of the border Himalayas. You will spend the night at the lodge. Today is the most exciting day. Leaving from Lubuche, the trail will lead through flat meadows while following the khumbu Glacier northwards. 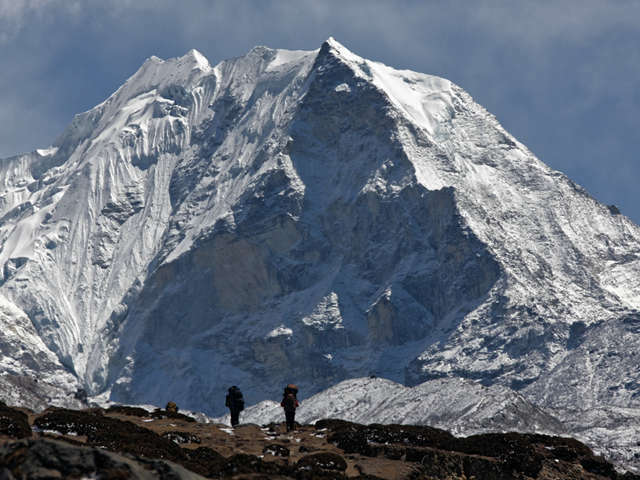 Then the trail will climb onto the lateral moraine of the Khumbu Glacier to Gorak shep. The path provides a superb view of massive khumbu Glacier and trans-Himalayas. Upon our arrival at Gorak Shep, we will check into the room and then, after lunch, we will walk to Everest base Camp. The trail continues on the moraine of khumbu glacier. The path often changes because of melting of glaciers. Once we reach Base Camp we will take photographs before retracing to Gorakshep. You will spend the night at the lodge. Day 11: Hike to Kalapather 5,545m/18,187ft – Dingboche 4,410m/14,485ft- 4/5hrs. We will wake up early in the morning and climb for 2 hours which will bring us to Kalapathar at bottom of Mt. Pumari. From Kalapathar we see the sunrise on the majestic Himalayas (including Mt. 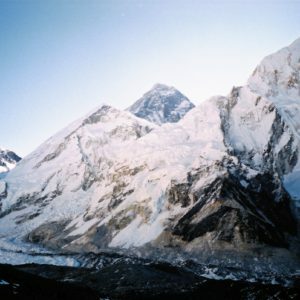 Everest, Nuptse, Lola, Khumbutse, Ama Dable, Taubuche, Cholatse, Thamserku and numerous other peaks with an excellent view of the Everest Base camp and Khumbu glaciers.) Then we will have breakfast and, after that, we will continue to walk through the moraine of the Khumbu glacier and will pass through Lobuche. Finally we will descend back down the beautiful valley to Dengbuche. You will spend the night at the lodge. We will take the gradual trail leading through Imja valley and between the Ama Dablam and Lohotse. It is a short trek from Dingboche to Chhukung. After reaching Chukung we will do a site trip to Chhukung Ri so we can see the sunset on mount Baruntse, Makalu and Ama Dablam. You will spend the night at the guesthouse. From Chhukung, we will gradually climb up south on the moraine of Island glacier. After a while we will turn east of the Imja valley. The trail continues with us seeing the Himalayas and passing by the stunning Imja Lake. Our day ends with us reaching the Island Base Camp. You will spend the night at the Tented Camp. We will start today’s journey early in the morning after breakfast. We are starting early because we need to reach the summit before midday and turn back as soon as possible. The path is full of rocky channels, rock arroyos, and crevasses. Your guide will often use rope while climbing wherever necessary for safety. After summiting. descend into camp where your kitchen crew are waiting for you with a hot drink in a mug. You will spend the night at the guesthouse. This will be a long trekking day where we will hike 17 kilometers on downhill terrain passing through ancient Buddhist monastery at Pangboche. The Sherpa believe it is the oldest monastery in Khumbu valley. We will trek further down the beautiful pasture and will get back to the pine and rhododendron forest. Then we will visit the Tengboche monastery before traversing the Dudh koshi River and trekking up to Namche via climbing 300 m. You will spend the night at the guesthouse. The last day of the trek in the Everest region. We will take the trail to descend from Namche to Tadokoshi along with the milky river and will exit from the Everest national park at Monju. 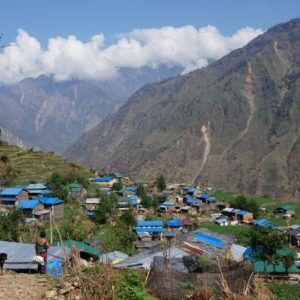 From Chhuplung we will trek up through the Sherpa village to Lukla. 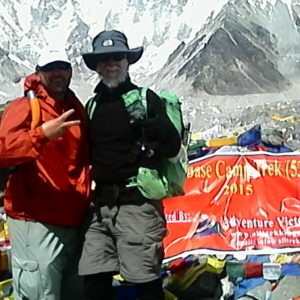 The Everest base camp Island peak journey ends here and you will have lifetime long memories. 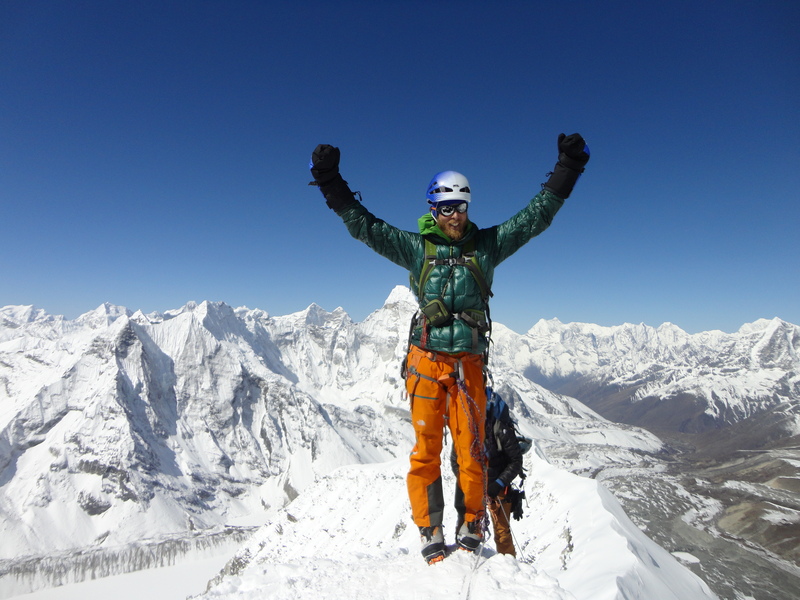 We will celebrate a successful party with the Island peak climbing crew. You will spend the night at the guesthouse. Day 17: Fly Lukla/Kathmandu 35minutes. Today we have scenic flight back to Kathmandu. Upon arrival at Kathmandu we will drive to the hotel. We can then either take a rest or shop for family and friends. We have a fare-well dinner at Thamel and we will spend the night at the hotel.